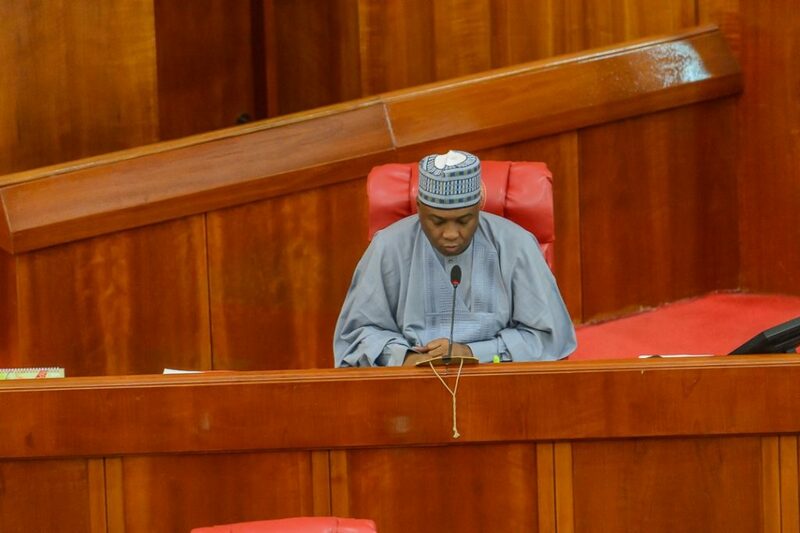 The Spokesperson of the All Progressives Congress, APC, in Kwara State, Chief Iyiola Oyedepo and that of the the Peoples Democratic Party, Sulyman Buhari have dismissed calls for the Senate President Bukola Saraki to step down from his office pending the conclusion of investigation on the Offa robbery incident. Some cultural and socio-political groups in Kwara State had on Friday demanded that Saraki should step down as the Senate President until investigation into the robbery is concluded. But Punch quoted Oyedepo and Buhari, as saying that there was no need for Saraki to step down from his position yet. The APC spokesperson, however , said since the Senate President has not been convicted by any court , it was premature to call on him to either resign or step aside. gray areas to clear , but that does not mean that he has been proved guilty . respect of the Offa robbery? “It is a mere allegation which has not been proved and we know the Senate President will be vindicated at last because he is a man of peace.